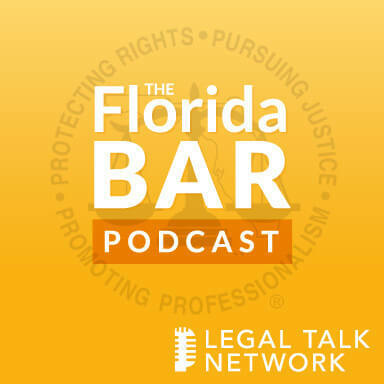 Adriana Linares and Renee Thompson interview Liz McCausland, Melanie Griffin, and Barbara Leach about maintaining successful careers while being involved with Bar committees. The interviewees talk about mentoring young lawyers, encouraging and helping potential leaders, and expanding community service within the legal field. While all three lawyers use technology to help with time management, they emphasize that being involved with the Bar is essential for their careers. Whether you are a private practice or in government service, you can build friendships, mentorships, and networks that progress your practice. Liz McCausland started her career as a civil litigator and now does bankruptcy and mediations in Orlando, Florida. Previously on the Young Lawyers Division (YLD) Board of Governors, she is now a member of the Leadership Academy Committee. Melanie Griffin is a partner at Dean Mead and practices in the firm’s commercial litigation department. She served as president of the Central Florida Association for Women Lawyers in 2011-2012 and President of the YLD Board of Governors in 2013-2014. Barbara Leach practices family law, consumer bankruptcy, and civil litigation at Barbara Leach Law in Orlando, Florida. She is also a former president of the Central Florida Association for Women Lawyers and is a current member of the Leadership Academy Committee.